Switch Covers:- Makes your dining hall attractive with thematic covers by simply switching the cushions that completely change the looks of your sofa set and makes you even more excited for the upcoming Christmas celebration. 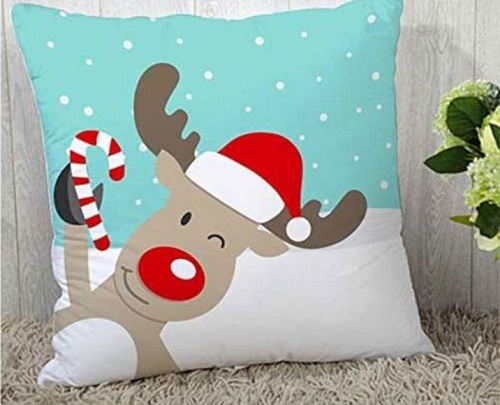 Remember the cushion cover print should be the purple tree Christmas or has a cute reindeer print. These prints cushion always reminds you that Christmas is near and here. Hang A Wreath:- When its Christmas then how can you forget Wreath. Yes, Wreath is a widely recognized symbol of Chrismas all over the world. Do not forget to hang on your door. 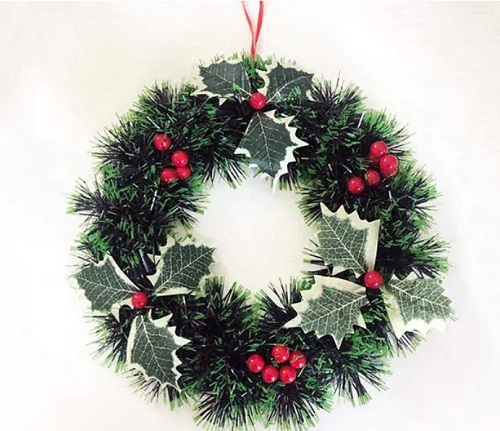 An Artificial Christmas Wreath is decorated with berries and mistletoe. Without Wreath the decoration seems incomplete so, do not forget to add this item to hang on your door. Put Up Lights:- Yeah, lighting is the most exploring way to celebrate, especially with a string of star lights. 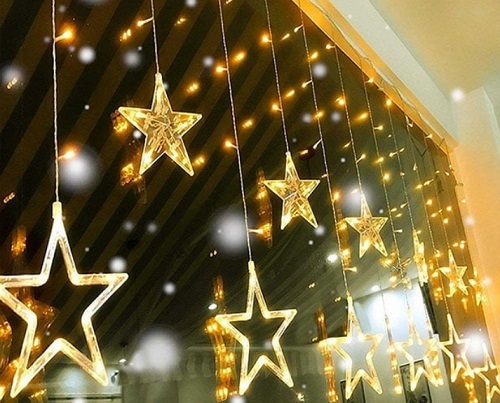 String lights will be perfect to illuminate your home with 12-star lights. It will shine like a star at your home and shows an enlightenment mood in your home environment. Deck The Halls:- To add more cherish moment in your home then do not forget a wall hanging. Hang strategically place a few hanging to bring Christmas cheer in yours. 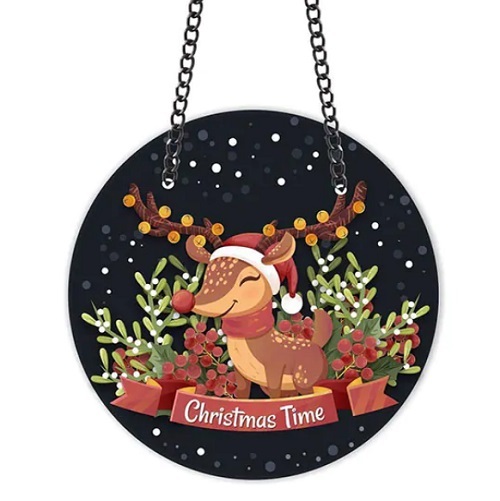 These hanging should have the picture of a reindeer that makes your home more colorful and attractive.